A lobby group has been formed in response to UK government plans to close Stornoway coastguard station. Plans which would leave the control centre at Aberdeen as the only 24-hour station in Scotland were announced on Thursday. Another base operating during the day would remain in Shetland or Stornoway. The new taskforce will make plans for early talks with the UK government's shipping minister and lobby for both Stornoway and Shetland to be retained. Though the Hebridean base is in direct competition for survival with the Lerwick station, both local authorities have agreed to collaborate to put pressure on the government to save both. They jointly seek an urgent meeting with Shipping Minister Mike Penning "to make the case that both Stornoway and Shetland are essential centres for coastguard operations". The creation of the taskforce was rushed through by Western Isles Council on Thursday evening. Its remit is to fight to save both the coastguard station and the emergency tug, which is being axed next September. About 20 staff could lose their jobs if the 24-hour maritime co-ordination centre at Stornoway closes. Council leader Angus Campbell contrasted the rushed timetable for closure, which he said risked maritime safety, with "the years to get a tanker route established down the west of the Hebrides". Councillor Norman Macleod added: "This is an issue they are trying to steam-roller through, governed by pound signs." Stornoway Port Authority, the islands' MP and MSP, and an NHS representative are also involved in the group. Cutting the number of control centres is intended to modernise the service and save money. The UK's 18 coastguard stations are to be reduced to eight, with only three operational around the clock. 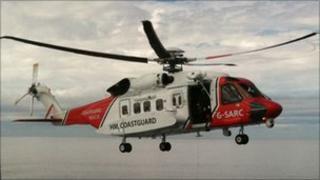 The coastguard centres at Clyde and Forth look set to close under the plans. A 14-week consultation on the proposal has begun.